Finally got these two projects blocked and pictures taken. This is a cowl. Interesting way to knit it. No seams. 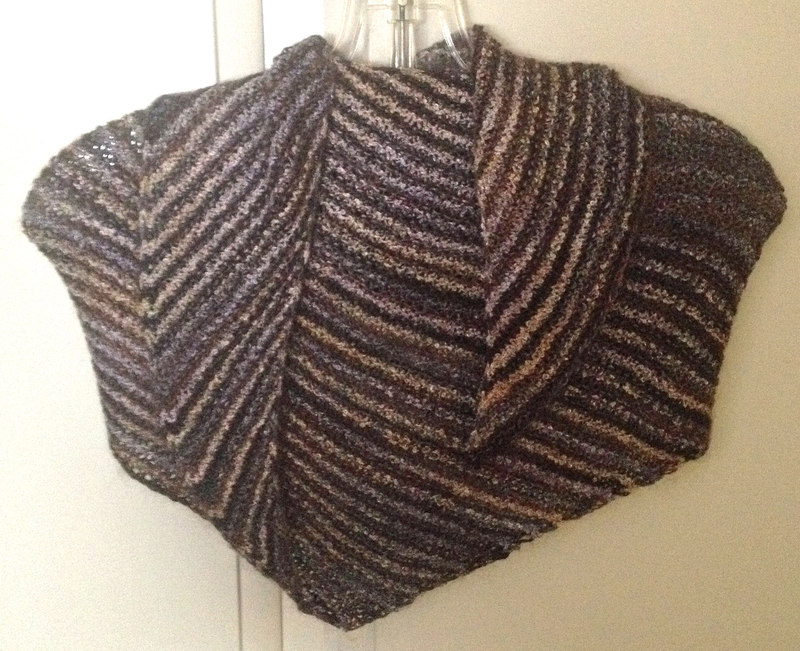 Used the Fluff pattern since I wanted a simple design since one yarn was fuzzy and the other a boucle.